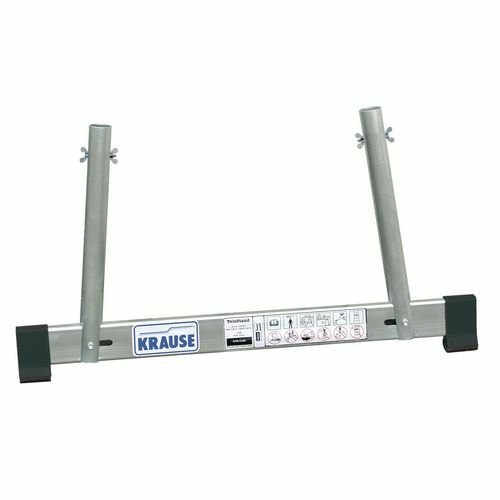 Used in conjunction with extendable plank and broad stand which are available separately. Allows working heights of 2.5m to 3m. Maximum height of platform using stabilisers and legs 800mm. Telescopic platforms are excellent products to invest in to enable you to work comfortably at above-ground levels, giving you a platform to comfortably perform your duties from - they also give you the flexibility to extend the area which you can work across. Our stabiliseres are to provide extra steadiness for the telescopic platform, reinforcing its strength for additional peace of mind while using the equipment. These products are sold in pairs to be specifically used in conjunction with the extendable plank and broad stand which are available separately. This product is an accessory and cannot be purchased on its own, to view the parent product please click the link on the right hand side or you can find it under the 'work stations and platforms' category on our website. Our products are very useful pieces of equipment designed to make your job easier - they benefit from 10 years guarantee and FREE Next Day Delivery.